It is pretty easy to find a report that looks at the number of landlines being dropped and then projects that soon, everyone will just have a cellphone. I have written about this before, but it has become a pet peeve of mine. Lots of people do not need a landline, but many others do, especially businesses. I spent a frustrating fifteen minutes on the phone today with someone trying to do business over a cellphone, and it was a mess--drop outs, fuzz, and noise made it almost impossible to carry on a conversation. Cellphones are great, but they are NOT a complete replacement for a wired connection. The big change for businesses will be from analog phone lines to VoIP. That has been happening for a while, but it will continue to accelerate. In ten years, there will be very few business or residential analog phone connections left. T-Mobile has announced $10/month VoIP (Voice over IP) phone service. It's an interesting twist on VoIP, with the company leveraging portions of its wireless cellular network to reduce the cost of providing the service. It is, however, a landline service, and you have to have T-Mobile cell service AND a broadband connection at your home. But you can't beat the price, which looks pretty good compared to an average $40-$50 per month cost of old-fashioned copper-based local/long distance bundles. Spit (Spam over internet telephony) may be worse than spam, according to this article. As more and more businesses and people make the switch to VoIP telephone services like Vonage, the spammers are gearing up for the mother of all dinnertime sales call efforts. But wherease the Do Not Call list mandated by Congress managed to get those annoying POTS (Plain Old Telephone Service) sales calls under control, Spit will be coming from servers in China, Nigeria, and other lawless areas of the globe, beyond the reach of U.S regulators. While spam can be filtered at the mail server, before you ever have to see it, spit is just going to make your phone ring. Researchers are already trying to develop methods to try to combat it, but the end result will be to make VoIP services cost more as we all pay for anti-spit services. As one example of how these costs affect prices, Design Nine's cost of mail service is effectively doubled when the spam filtering service we use is added in. Email is still a bargain, but costs more than it needs to because of spam. This short article from DefenseTech [link no longer available] indicates that the Navy expects to save 24% per year on it's $4 billion dollar telephone bill by switching to Voice over IP phone systems. In round numbers, that's about $1 billion a year, or enough to buy an entire aircraft carrier in five years. Businesses are consistently seeing that much savings or more, and reports of 40% savings are common. Of course, you have to have a reliable broadband connection to switch your business to VoIP. Skype is redefining the "phone"
eBay's purchase of Skype, the Internet phone service, appears to be reaping dividends in terms of new features for the phone service. Skype has been making more frequent upgrades to the software and service, and in the process, is redefining the telephone. We used to think of the telephone as an object. It is now a piece of software and an associated service, completely independent of a particular physical object. You can run Skype on your computer with a headset, but manufacturers are also producing "Skype phones" which have the basic Skype service protocols built in, so you can plug them into your computer but use the phone to dial calls just like an "old fashioned" phone. The company is taking many different features and services and combining them into a unified interface--something other companies are trying to do but with less success. Skype seems to be taking a page from Apple and focusing intently on designing really good software to make the service easy to use from beginning to end. The company has excellent help tips and instructions, and the newest version of Skype with videoconferencing recognized my camera without making me do anything to set that feature up. Skype is adding SMS, file sharing, conference calling, video calls, and voicemail, among other features. And Skype can also call to "old" telephone landlines. Some of these things cost money, but Skype is pursuing the now classic Internet model of giving part of the service away for free. With eBay's deep pockets, Skype may well come to dominate the phone space, whether we like it or not. Internet advocates are working on an Open Source equivalent called Gizmo, which has many of the same features, but Gizmo, which relies on volunteers to add new features, may not be able to keep up with a steady stream of new features coming from Skype. But free does not always mean good. I've tried to use Skype's conference call feature, and the quality is mixed, as is just person to person Skype calls, because the service is heavily dependent on the quality of your Internet connection and all the connections between you and the person on the other end. Skype is one reason the phone companies are calling for a two tier Internet with toll booths. The phone and cable companies want to extort, er, I mean, charge Skype fees for carrying their traffic. But that's not a solution, it's just another problem, mostly for users. What is likely is that the notion of having a single "phone" number or even just one or two phone numbers, is long gone. We'll have to have multiple voice services and accounts to accommodate friends, family, and business associates. As long as we can forward our phone calls from one "number" to another, we should generally benefit from a very rich set of features....if we can figure out how to use them all. Swedish-Finnish telecom company TeliaSonera has started selling hybrid phones that will automatically make phone calls via the Internet when in range of a WiFi hotspot, and use the normal cellphone network when not in a hotspot. Some other dual mode phones have been available, but this is the first phone (manufactured by Samsung) that will switch automatically between the two. The firm is targeting in home use first, which is clever, because we make a lot of calls from home. If you have a wireless router in your house, the phone will automatically make VoIP calls, saving money. Devices like this illustrate the need to design communitywide broadband networks that offer BOTH fiber and wireless connectivity. We are going to want and need both, and communities should plan and design for both. This new Skype-compatible VoIP phone is cordless, which fixes a limitation that has always made Skype and other Internet phone services clumsy--you had to be tethered to your computer. With this phone, a little widget plugs into a USB port and you can wander around the house or office with the cordless handset. As more phones like this become available, it will drive even higher use of VoIP. This little device uses the videoconferencing facility of Skype (the VoIP software) to send a television stream to anyone with Skype. It's one of those odd little devices that often end up in ads on late night TV, and will probably amount to nothing, but it could become the monster that ate the Internet. It sounds like you could plug this into your cable or satellite TV jack, then have your computer call you at work to stream your favorite soap opera to your work computer, among other devilish uses. It is just the kind of thing that frightens the pants off the cable and telephone companies that are selling broadband connections for fixed prices that have zero relationship to the things that people actually want to do. Their response is to stop people from doing anything they don't approve of, rather than redesigning their networks to support what people actually want to do (and will pay for happily in most cases). Vonage may be the first big casualty of the "Web 2.0" craze. While Voice over IP is technically not a Web 2.0 application, we can use Web 2.0 as shorthand for the same kind of hysteria we saw in 1999 and 2000, when a lot of really bad ideas (from a business perspective) got way too much venture capital funding. Proving that there is still a sucker born every minute, investors poured nearly half a billion dollars into the VoIP firm's IPO--even though the company has never had a single profitable quarter in its five year life, and in fact has lost nearly half a billion dollars in that time. The problem for Vonage is that they set the stock price too high (well, the company has lots of problems, but I'm talking about the IPO). The $17 initial price has dropped below $15 in just a few days, and some are predicting it will fall below $10. High flying tech stocks are supposed to shoot upwards in value and make early buyers of the stock big profits. Vonage offered users of their telephone service an opportunity to buy stock at the initial opening price. That's an attractive offer if the stock value shoots up quickly; you can buy the stock and immediately know you are going to make a profit if you sell right away. But what if the stock price drops? Now you have to buy shares at $17 that the market says are only worth $14.50. What some subscribers are saying is that they are going to renege on their agreement to buy. And Vonage is now suggesting it will force subscribers to honor their purchase commitments. It can't get much uglier than that. Stepping back, Vonage has two structural problems. First, the business model for Vonage, in which you can make free calls to other Vonage users and pay to make calls to people not on the Vonage network, is not working--the company is losing money every day. Second, the big access providers have started playing games with VoIP data traversing their networks so that the quality of the phone calls is much reduced. This is part of the "two tier Internet" issue, where the big providers first "prove" extra fees are needed by monkeying with the way their competitor's data traffic is handled, then claim special fees are needed to make the network work better. Vonage is an early victim of this because they have so many people using their service. And in fact, heavy VoIP traffic can and does affect networks. But the solution is not to start charging companies like eBay, Vonage, and Google special fees to carry their traffic. The real problem is that the bandwidth model of selling Internet access that we have used for the last decade is badly broken. The two tier Internet "solution" is like putting a band aid on someone having a heart attack. We need open access digital road systems where bandwidth is free and you pay for services. This allows everyone in the service chain, from customer to service provider, to price or pay for services based on the value of the service, and not on some completely artificial cost of some increment of bandwidth that has no relationship to what people and businesses actually do. Some communities are already planning open access systems. As they become operational in the U.S., we'll see more and more movement toward them, because they are the only ladder out of the hole we are in. In the meantime, we have to hope our state and Federal legislators don't cave in to the two-tier Internet crowd and really screw things up. Will UMA save the cellular industry? In a perfect world, we would throw our cellular phones away and move as fast as possible to an all Internet wireless system, using VoIP to make phone calls and the same packet-based IP transport for all other kinds of data--one kind of transport system for everything--voice, video, Web, you name it. But infrastructure usually trumps good ideas. We already have a vast cellular infrastructure that works pretty well, at the expense of having a separate wireless road system for phone calls--one that does not work with the more versatile Internet road system. And it is hard to imagine how you just throw away all the billions already invested and invest billions more for a new wireless Internet everywhere. But the cellphone manufacturers may have cracked this problem with UMA, or [link no longer available] Unlicensed Mobile Access. Using a single wireless phone, users can use it to make calls when near a WiFi hotspot OR on the conventional cellular system. Even more interesting, you can do so seamlessly. You can start a call on the cellular network, walk into a WiFi hotspot, and the phone will switch to the Internet seamlessly while you are talking. There are a lot of issues to be worked out, including pricing (it's cheaper to carry voice calls over WiFi/Internet), but it gives the cellular companies a roadmap for making the transition to an all Internet road system gracefully. We'll see more and more phones coming standard with WiFi, which will also make it easier to use our phones and PDAs to check mail, surf the Web, watch movies, and stream music. I am not a big fan of me-too municipal wireless projects. Wireless technology remains in flux, with new equipment and systems coming online constantly. Interference and bandwidth issues have to be considered very carefully when designing these systems. And you have to know how you are going to pay for the network management and maintenance. In other words, a community should not be planning a big wireless initiative just because "that's what they are doing in Philadelphia." The city of Toronto has just announced a big wireless project, and they have an interesting approach to making the system pay for itself--VoIP. The city wants to create competition for the cellular companies, and wireless VoIP could be just the thing. From a technical perspective, VoIP is clearly superior (think BetaMax). But wireless VoIP phones are not very appealing because they only work where there is a hotspot. And we want our phones to work everywhere. So the cellular companies have an inferior voice/data combo (voice and EVDO data service) that works with an infrastructure already in place (think VHS). Wireless VoIP phones won't catch on unless they work, but how do build out the infrastructure when you don't have enough customers to pay the bills? It's a classic chicken and egg problem. But if local government steps in and helps with the infrastructure part, everybody wins. Suddenly, lots of people can use VoIP phones throughout the city, and competition drives voice prices down. What would be great is if the city of Toronto allows multiple service providers to sell VoIP over the city network--that creates a win-win situation that creates jobs and opportunities in the private sector while those service providers pay small fees based on income to the city, which pays for the investment and maintenance. Microsoft has announced that the company will start bundling a voice telephony application into mobile versions of Windows Mobile that runs on smartphones and PDAs. It is apparently bundled with mobile versions of Office, meaning the initial marketing is aimed at business users rather than casual consumers, who are not likely to spend the money for a copy of Office for their phone. It is likely to have broad appeal to corporate IT staffs, who love making everyone use exactly the same set of software. But it also makes sense from a business perspective--if you want to save money on your phone bill, you can maximize savings by getting everyone to use the same VoIP software. My guess is that Microsoft will do well with this. Think about having a buddy list right up on the Word or Excel toolbar, and being able to place a business call with a mouse click if you want to ask a question of a business associate. Or even set up a VoIP conference call while sharing a copy of the spreadsheet. VoIP is going to change the way we do business as it becomes tightly integrated into other applications. Apple and AOL have been doing this for a while, but being late to the game sometimes allows you the opportunity to do things better. It will be interesting to see how this actually works in practice. If Microsoft provides some interoperability with other VoIP protocols like SIP, it could be a big win for the firm. Skype continues to expand its grip on the Internet voice telephony marketplace by providing technical specs that describe how to build a phone with Skype software built in. MSNBC has an article that describes a whole slew of new Skype phones. The new handsets untether Skype calls from a computer handset. The new gadgets include a phone that works like a conventional cordless phone (so you can receive calls in other parts of the home or office, away from the computer), a phone that lets you switch between conventional POTS (Plain Old Telephone Service) calls and Skype calls, and a completely self-contained Skype phone that works wherever WiFi service is available (no computer needed at all). As our options expand, the complexity of our communications systems expands as well. But these phones are a step in the right direction. Has Skype won the VoIP wars? Several business associates and I decided to try a Skype voice conference call the other day. I had not looked at the Mac Skype software since it was first announced; at that time, I was not impressed. The latest version has an excellent interface and features built in chat and file sharing. Voice quality was superb--better than a Plain Old Telephone Service (POTS) landline. The built in address book makes one click dialing dead simple. But we had some glitches. One of the people trying to join the call discovered that his broadband access provider was blocking Skype--more on that in a moment. And about forty-five minutes into the call, I had trouble with my microphone input--it just stopped working, for no apparent reason. I had to call back to get it working again. Despite the problems, I was impressed with the ease of use, the excellent design of the interface, and the terrific sound quality. There are still bugs to work out, and to be fair to Skype, I occasionally have the same sound input issue with iChat, Apple's voice/chat application. So it's not clear that that problem is even a Skype issue. We're on the verge of an enormous change in the way we make voice calls, and the software and hardware is just about there--good enough that millions of businesses and individuals are using VoIP systems every day. But one glitch is the growing resistance of broadband providers to free and fee-based IP voice systems like Skype. From their perspective, companies like Skype use their bandwidth for free, and that's essentially correct. Hence we have companies simply blocking Skype packets, rendering the service unusable on their networks. The Wall Street Journal reported last week (subscription required) that the major broadband providers, including BellSouth and SBC/AT&T, are beginning to consider charging content providers for network access. It's not just voice that is driving this; as more and more people download movies and television shows, the broadband providers have to deliver more and more network capacity, but have fixed price contracts with customers, meaning their costs go up as their customers use the network more, but their income stays the same. The current cost/price structure for broadband is untenable, and we will see much confusion in the marketplace over the next several years as new price models emerge. But companies like PacketFront have already solved this problem by providing a comprehensive communitywide network operating system that is service-based, rather than bandwidth-based. In a service-based model, broadband connections would be free, and if you wanted a VoIP phone, you'd select from several different VoIP service providers that have contracts with the network operator (e.g. 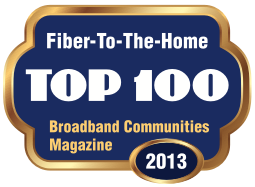 the community or private broadband provider). Part of the fee for VoIP service would go to the network operator to cover the cost of providing the network. This model is very similar to the way we build and manage roads, and that model has worked well for decades. When companies start making real products for some other company's service, you know something is going on. Skype is beginning to make real inroads on the VoIP marketplace, and hardware manufacturers think there is money to be made. XING is a conference phone made expressly to work with Skype and only Skype. Niche market? Yes, but apparently big enough to actually make stuff for it. I'm not crazy about Skype because it uses a proprietary format, rather than an open standard. But it works, and because it has a business model aimed at making money, the company can focus on quality and good service. In comparison, I tried for a couple of hours to get Free World Dialup, a free, open source VoIP service, working on my computer. I'm sure it does, but the configuration was obtuse and the directions were lousy. I couldn't figure it out, and two hours is about my limit. And if I can't figure out in that time, a lot of other people with a lot less patience probably can't either. Skype may not be the best VoIP service technically, but it works. And like the old Betamax-VHS war, we know you don't have to be the best to win in the marketplace. Skype has announced a deal with Radio Shack to have the electronics retailer sell Skype-ready phones and headsets. The old Betamax-VHS battle is a reminder that the best technology does not always win. Skype uses proprietary (free) software, which is good for Skype but is not necessarily a good choice over the long term for consumers, as it does not interoperate with Open Source-based software and voice protocols. Skype locks you in to using their software. But what Skype has is an early lead and the potential to force the marketplace into making Skype a de facto standard. One of the troubling issues is the potential disaggregation of the telephone service market. We may need multiple telephone numbers....a cellphone number, a Skype number, a landline number, an Open Source SIP number. This could all turn out to be a big mess and a major headache. As the business market for telephone service evaporates--meaning no one can make any money selling phone service--the unified, worldwide, call anywhere and receive calls from anywhere phone system may just fall apart. There is one bright spot--the Internet geeks have been working on this problem for several years, and the ENUM registry promises a quick and easy way to make the phone number problem minimal. But companies like Skype may not want to use an open standard that helps level the playing field for competitors. Japan has announced a plan to roll out mobile Voice over IP services nationwide in less than two years, leaving the U.S. in dust. The new system will handle data speeds of 15 megabits/second, or 15-25 times faster than typical wired DSL and cable servie in the United States and nearly a thousand times faster than typical 3G cellphone data services. Why are so many other countries so far ahead of the United States, and why are our local leaders so willing to let their communities languish without competitive technology? "VoIP's gonna be huge." That's what the Register headline says, and the article goes on to say that the traditional telcos are running scared--that telco VoIP offerings are being rolled out because the companies fear that if they don't, VoIP upstarts will steal all their voice business. The article goes on to say that advanced services--IP TV, gaming, video on demand, home security, etc.--will be where the real profits are in the future. Voice telephony will be just one of many broadband services, and the telcos have to adjust or die. Christopher Miller points to an interesting survey that says 87% of Americans don't know what VoIP (Voice over IP) is. Ten percent thought it was a "low carb vodka," and another group thought it was some kind of European hybrid car. The results actually track pretty closely to the number of people that read blogs. The estimates vary a lot, but suggest that somewhere around 10-15% of Americans read blogs, which is about the same number that are familiar with VoIP as a new way of making phone calls. As communities struggle with broadband, local blogs written specifically to help people learn about technology can be an important way of educating people and helping to create a market for new services. It is never just a matter of getting some money and building some fiber or wireless infrastructure.